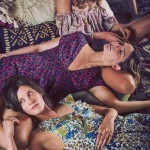 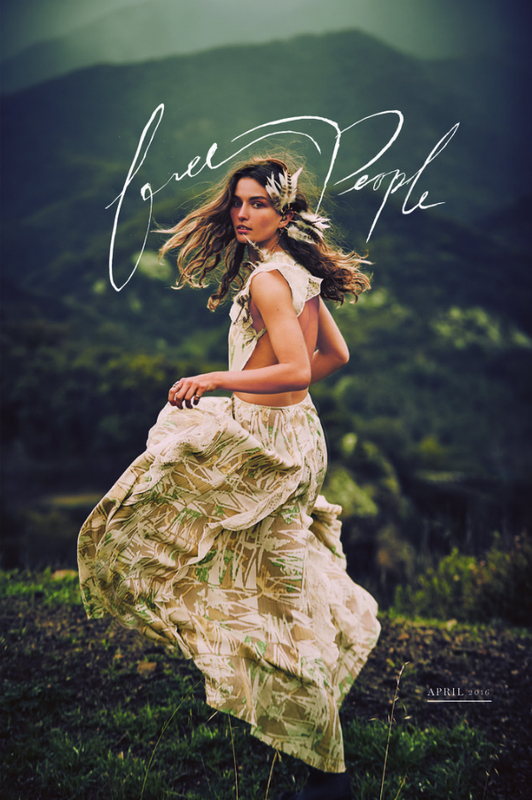 Free People released a new ad campaign for their dreamy April 2016 catalog. 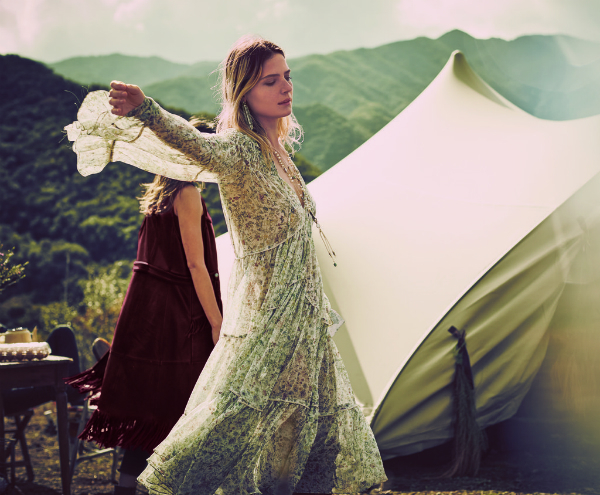 Full of loose-fitting dresses, old-fashioned denim and statement pieces the collection is just right for the festival season and summer evenings filled with bonfire picnics, beach-side walks and nature outings. 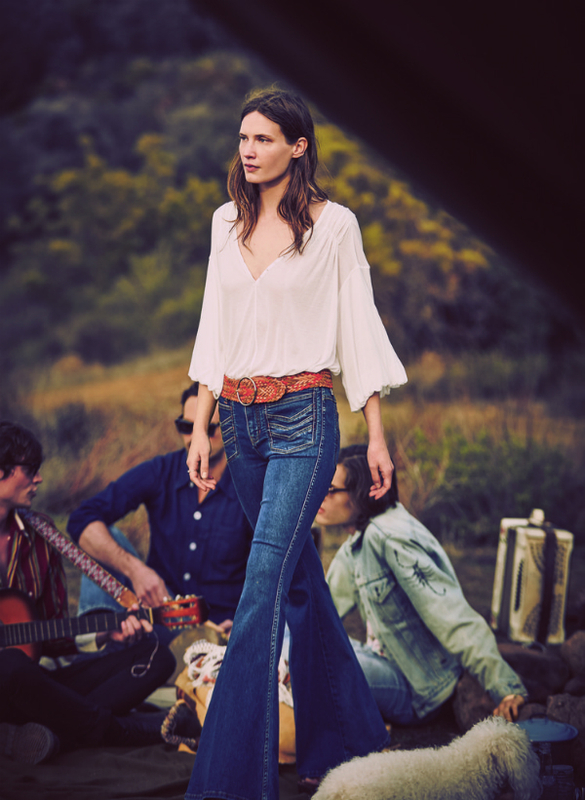 While there are a lot of dresses in the catalog the girls who aren’t into those can rock the festival 70’s style flare jeans, fringed capelets, suede mini skirts, and cut off shorts. 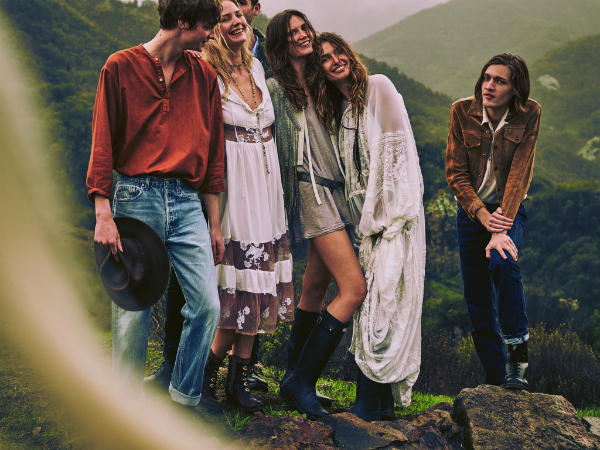 There are jackets and pullovers for cooler evenings and plunging semi-sheer tops for hotter days. 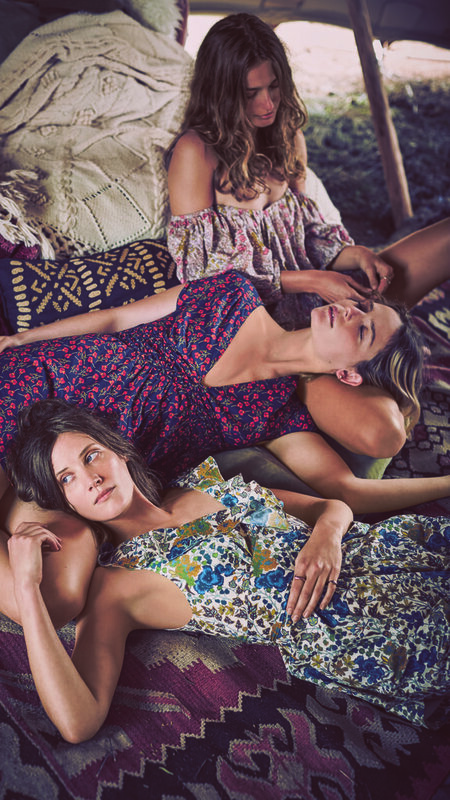 Prints take the center stage but there are also solid pieces like a brown suede scallop skirt and a white blouse. 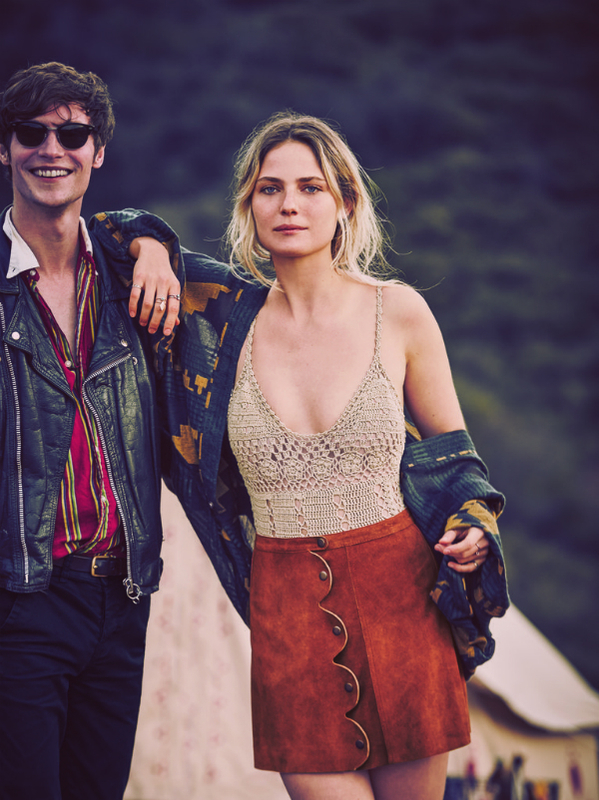 Some of the statement pieces to rock this festival season are of course a taupe grey crochet top, fringed capelets, and a navy military jacket with gold detail.